Today is Independence Day in the United States of America. We’re 235 years old. Not bad, all things considered. It marks the date of our Declaration of Independence from England and the British Empire and states the reasons why this was necessary. 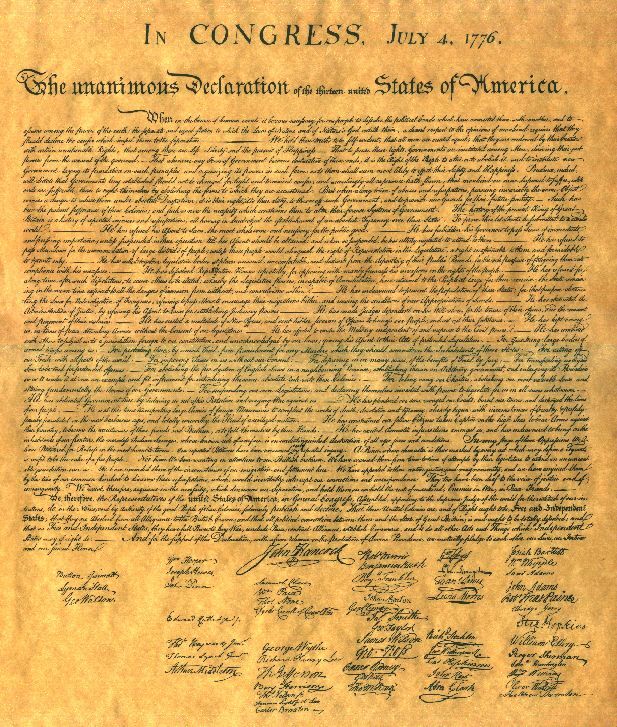 The Declaration was largely written by Thomas Jefferson, who also became our second President, and its first sentence was one of the first times that human rights were proclaimed. By way of contrast, the Great Mongolian State in 805 years old this year, counting from 1206, when Chinggis Khan was declared the Great Khan of all the Mongols. There have been difficult times, including a loss of independence more than once, but in 1990 Mongolia had its own Democratic Revolution. The Mongols today enjoy the same basic freedoms as Americans, including freedom of the press and assembly, one of the few Central Asian countries whose citizens can exercise these rights. Some of who we are as Americans can be traced back to the Mongol Empire. Some of what Mongolia is becoming can be traced to what America has always stood for. It’s obvious to me that our countries should be good friends now and in the future. It’s Naadam Weekend In Mongolia!